Located in the Sonora Desert in south-central BC, the little town of Osoyoos lies next to 17-mile long Lake Osoyoos, the warmest fresh water lake in Canada. The name Osoyoos (pronounced 'o-sue-use') derives from 'SooYoos', an Aboriginal Native word referring to a narrowing or where two lakes almost meet. 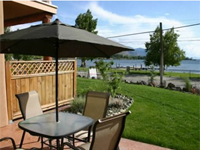 The all new Walnut Beach Resort in the Okanagan Valley is a place where outdoor experiences are abundant, memories are guaranteed to be made, and living well comes naturally. 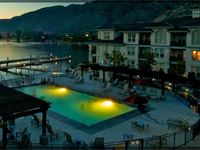 Nestled on the shores of Canada?s warmest lake, Lake Osoyoos, and surrounded by breathtaking mountain views, Walnut Beach Resort features 110 suites, an 800? private sandy beach, outdoor pool, wine bar and meeting facilities for up to 150 people.